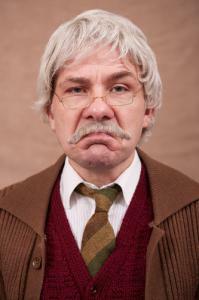 Remember that old, disagreeable bureaucrat behind the Post Office counter? Almost everyone can recall someone in their local office like this - angry eyes glaring over bifocals, staring down the poor victims with no choice but to wait for service. Just as the line in the waiting room grows to its longest, the bureaucrat's window would close, with a slap of the "Next Window Please" sign on the desk. Customers could complain all they liked about lost time and bureaucratic absurdity, but a coffee break has a very specific duration for the true bureaucrat. The Credit Reporting Agency has been another Kafkaesque nightmare for many people, particularly when someone tries to correct wrong information. Fortunately the big three: Equifax Information Services, Experian Information Solutions and TransUnion LLC, just settled an agreement with the New York State Attorney General to change the way they collect and correct information on data for more than 200mm Americans. Over the next 6 to 39 months, they will implement a new way to solve disputes over information reported on credit score reports. Experienced employees will review the consumer documentation, even when the creditor alleges that everything is correct. The changes promise to be welcome for the consumer, because right now disputed documents are typically sent to low paid workers overseas. These workers then translate the problem into a 3 digit code, send the code to the creditor and if the creditor maintains the allegation, no further investigation takes place. According to a 2013 FTC study, some 20% of consumers are affected by credit report errors. Creditors send wrong information or data thieves may open a credit card account in someone else's name. Everyday life can be severely impacted by errors or things beyond an individual's control. Credit score reports influence one's ability to rent an apartment, buy a home, get a car insurance and find a decent job. Furthermore, financial services companies rely almost exclusively on FICO scores in deciding who can afford a loan and how much interest to charge. The settlement, which will be implemented all over the US promises to improve the accuracy of credit reports and give banks better information about potential borrowers. A special chapter of the agreement concentrates on unpaid medical bills. These debts represent 50% of all collections and some of them don't depend on the consumer at all, because they are bills working their way through the bureaucracy of insurance companies. Nevertheless, they go on the report. New York's Attorney General has obtained assurances from Equifax, Experian and TransUnion that they will wait 180 days before adding medical debts to credit reports. The delay will give time for insurance companies to pay the claims. Even better, when debts are paid by the insurance company, they will be removed quickly from the report. This is a very useful precaution because, usually most delinquencies even when they are paid, stay on credit reports for up to seven years. Consumers will be appreciative and banks will be too. After all, hospital debts mostly don't reflect on consumer behavior and a FICO score saddled with delinquent medical debts may not be readily trusted as a good indicator of a customer's willingness or ability to repay a debt. Last but not least, the settlement encourages reporting agencies to publicize the fact that at least 1x per year, consumers have truly free access to their report. The hope for bankers among all of this is that well informed consumers will be better customers. Yields saw less than a 1bp shift upward as the session proved to be a relatively uneventful one. Treasury yields are currently unchanged as investors nervously wait to see if a Greek bailout plan can somehow be revived. A Bank Director survey of executives and directors that asked whether or not respondents planned to sell their bank in the next 12 months had the following results: no (87%), yes (3%), unsure (10%). A report by Accenture finds 81% of consumers say they would stay with their bank even if their local branch closed vs. 52% in 2013. Increased reliance in online and mobile banking were cited as primary reasons for the change. Overall, 33% of consumers said online banking is the most important channel for banks to focus on in the next 5Ys. A survey by BioCatch finds online banking is preferred by 29% of people now compared to branch banking at 26% and phone at less than 10%. Meanwhile, the most performed online banking activity is monitoring account information, charges or billing information at 69%; followed by paying bills or transferring money (23%). CNBC reports banks and other institutions have paid more than $150B (about 21% of profits) in fines, settlements and other penalties since the financial crisis (vs. the $700B in profits earned in aggregate from 2007 to 2014). A survey by Bank Director of executives & directors finds the primary barriers that could prevent their bank from staying independent are: a highly competitive environment (27%); continued low interest rates (26%); other (18%); aging board and management (17%) and capital demands (12%). A Bank of America survey of small business owners finds the following among the answers provided when respondents were asked how many hours on average they work: 70+ (10%); 60-69 (20%); 50-59 (25%); 40-49 (30%); 30-39 (11%) and less than 30 (4%). For bank teams seeking to contact these customers it is interesting to note that 65% can be found in the office 50 hours per week or more.